The Audiant 100p is a no compromise 100W stereo power amplifier with balanced input and combines form and function to create a hugely satisfying amplifier. The MOSFET output transistors and high-current power supply give a potent, dynamic and sophisticated sonic signature; continuing the tradition of Perreaux amplifiers ? engaging, purposeful and controlled. 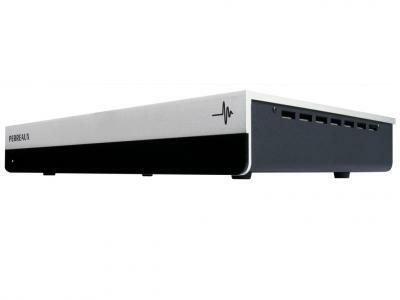 The Audiant 100p stereo power amplifier is the perfect partner for the asynchronous USB equipped Audiant DP32 USB DAC preamplifier. Whether as part of a complete Audiant system, or as the power amplifier in your existing system ? the 100p will reconnect you with the MUSIC. Find your nearest Perreaux dealer to experience the Audiant 100p stereo power amplifier for yourself.